I know for me, there comes a time when I am ready to do some Spring cleaning. Right about now. It is the time when I take my Winter/Fall clothes and pack them into the guest room closet, making room for new Spring items and either selling or donating clothes that have languished in my closet, or that I just am not fond of anymore. I’ve compiled a list of items I am looking for this season. I shop 99% of the time online. I also choice the stores that offer free shipping/returns and therefore I can try things on in the comfort of my own home. WIth many of the shops, I know the sizing, the fit, and it is consistent for me. I do buy secondhand, from Poshmark, The Real Real, etc, but I will also add pieces from favorite online shops, Mango, Zara. This season, Mango is killing it! I have been excited to shop again, and have found some wonderful, classic pieces to add to my Spring/Summer wardrobe. I went through a phase with dresses, that I was buying a lot of dressy dresses. Dresses I could wear out to dinner, a show, or special event. Now, I have plenty of those, I am at home, working on the blog, and question why I need any more of these? I began looking for more day dresses, casual dresses I could feel comfortable in, no matter what I was doing. 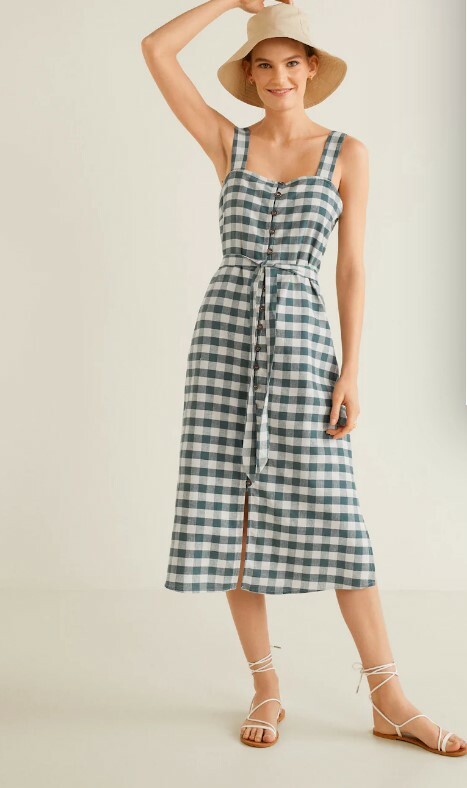 I do love my floral dresses but have also become quite fond of spicy colors ( Spring Trends 2019 post), gingham prints, paper bag waist pants, and linen dresses/sundresses, so wait and see! I love a great midi dress! I think they are classy, timeless, and I feel good in them. Until my knees drop to the ground or crinkle like a raisin, I will wear all lengths of dresses, but the midi dress can always make me feel confident! I have a round straw bag I bought last year from amazon. 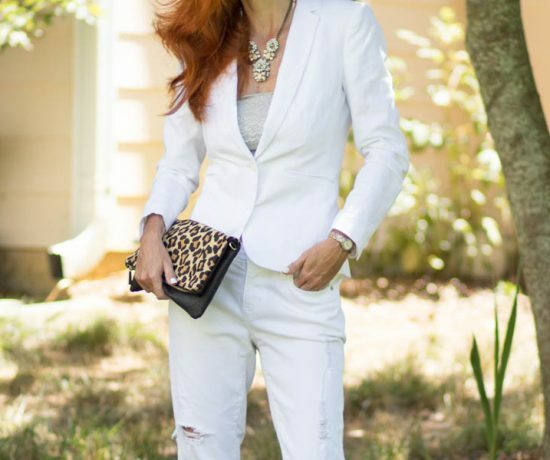 I love this style and it looks so fresh with safari looks and neutral chic styles. 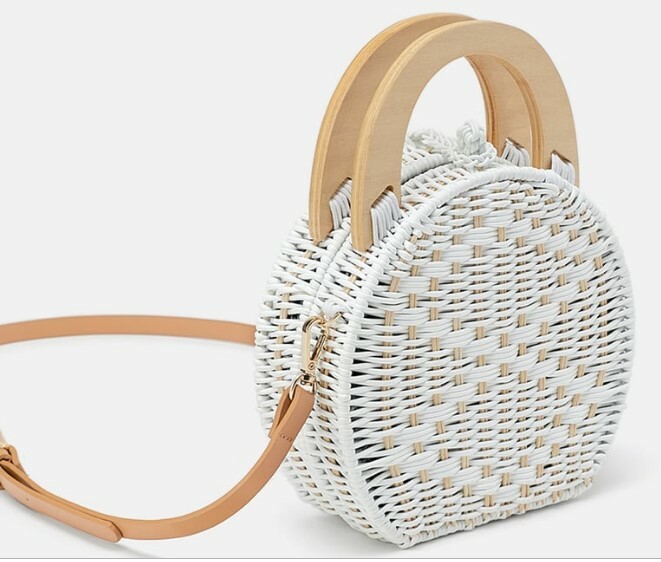 When my eye spotted this white, round bag from Zara, I was excited to style it. This shape has been popular now for years. white sandals or heels are big this Season. 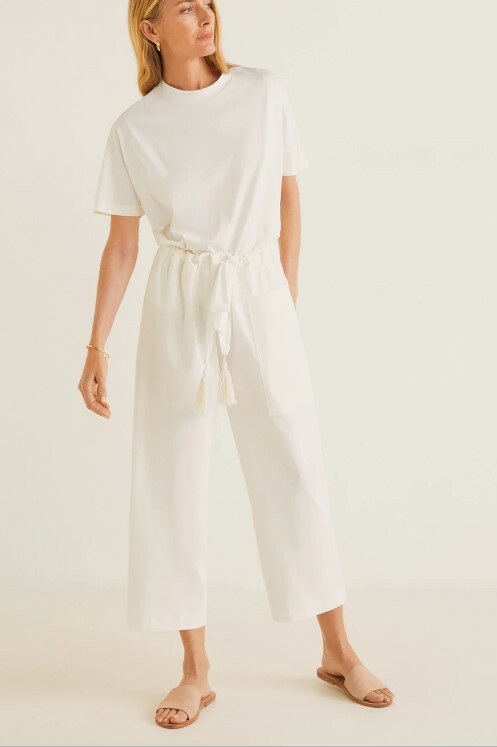 I love the look of all white and am looking for a pretty white heel or sandal that I can style with this look, or wear with any dressy dress. Love these pants from Mango. The organic cotton is breathable, and the drawstring waist comfortable. Living in the South, breathable fabrics are so important in the hot months! I will wear denim shorts in blue and white, but also love linen and cotton int he summer. Classic print. Just makes you think vintage or something my mom used to wear. She wishes she would have kept some of her summer dresses, as this checked print doesn’t go out of style! I have a blue gingham swimsuit one piece I enjoy wearing as well 🙂 I love the midi dress in this print, ( see above) and these pants are calling my name as well. You can find gingham in dresses, skirts, bermuda shorts, tops., you name it! What could be easier or just as easy as “flip-flops”? 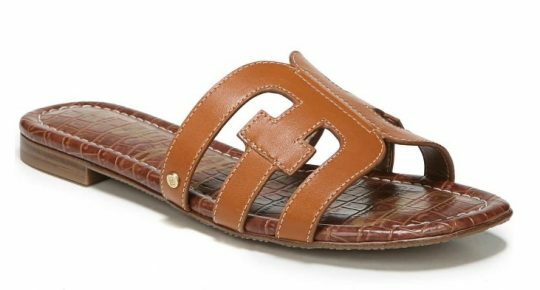 A low heeled or flat leather slide, like this from Sam Edelman, with bow details or clean look are a cool, easy choice for the hotter months. Slide them on your feet, and go! I’d love a cognac brown pair. 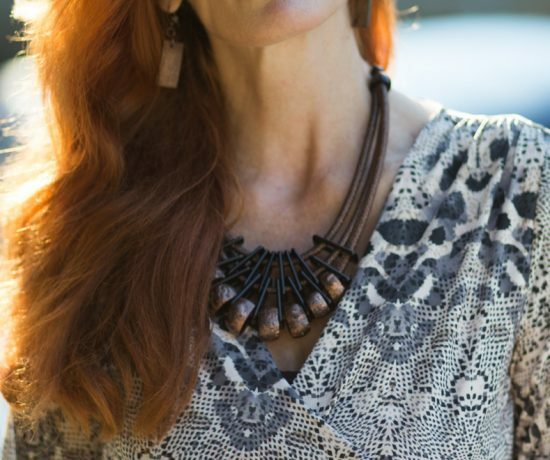 I also love the textured raffia styles for a casual chic look. As I mentioned, I have a “few” floral blouses, so I am on the hunt for some solids that can mix and match, some linen blouses to keep me cool, and a few camis. I love a classic white linen top with mother of pearl buttons like this one. 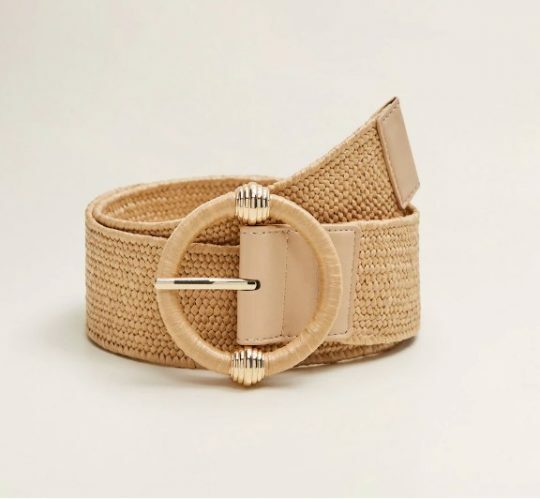 I love a dark brown straw belt or a natural belt from Mango to wear with my off white linen dresses, pairing them with neutral or spicy tones for more of a defined – structured look. What is on your Spring Wish List? Have you done your Spring wardrobe cleaning? Have a wonderful weekend, it’s almost April! I’ve curated some clothes that are on my wishlist and are examples of above. These are affiliate links at no cost to you! 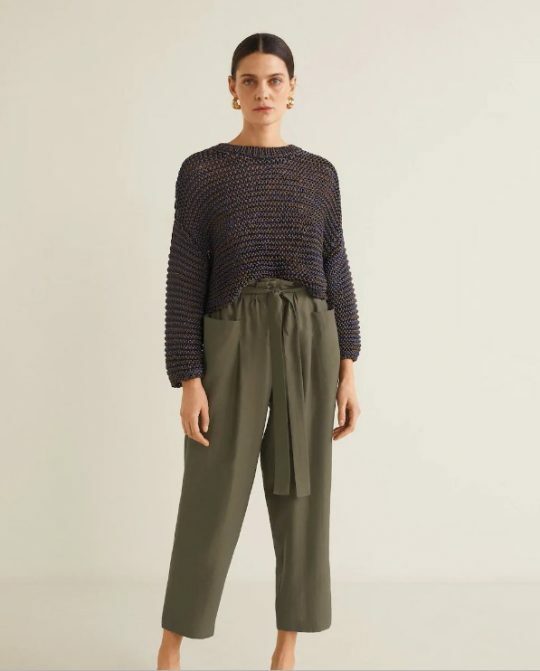 I have never been one for tucking my shirt in, but I am loving the paper bag trend, and am very close to ordering me a pair of pants, and appropriate top. Great wishlist! 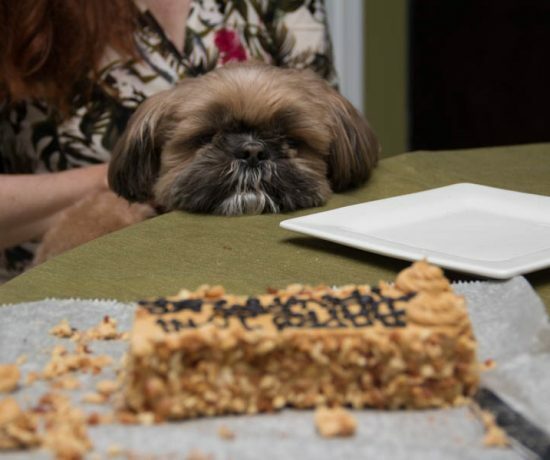 I’ll take one of each please – ha! 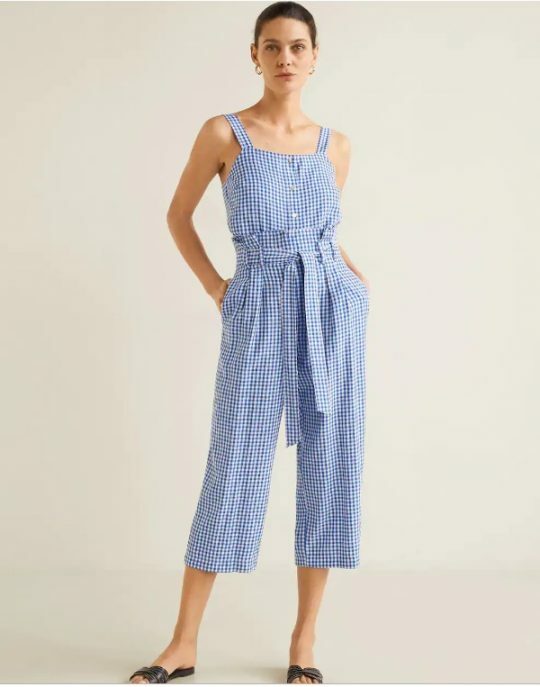 I am in love with those gingham pants from Mango and with the top it totally looks like a jumpsuit. So cute. I also love that bag and belt you chose – I can’t wait to see your spring wardrobe!!! Those are great picks. Love the round bag and the gingham jumpsuit and that plaid dress. So cute. I always manage to find something I really like in Mango. They do have a great spring collection. So love the midi dress. Plus those white sandals. I think the Midi dress is you! I can see you wearing it with the white sandals and white purse. But then again, I think you would wear it better with you style of adding a pop of color instead. I’ve never shopped at Mango before, although from time to time I’ve seen something of theirs. Their plus sizes start at a size 10? Yikes. I can already picture you styling your wish list items! I love all these picks! I have that green gingham midi dress on my wishlist too! I love all of your picks, Jess! You have such great taste! I think the first three are my favorite! I just adore gingham for some reason. In fact, I just bought a pair of gingham pants that I’ve already worn many times!! And the white sandals….those are so fun! !